I got my white sneakers 2 weeks ago, it works great! I asked to change the color to white, it looks wonderful in white, right? I suggest Chamaripa offers more color option for their shoes. Love these shoes. Very comfortable and great style. Can be paired with just about anything, but I mostly wear them with darker jeans. Good product. Satisfied, Hence later on ordered one more pair of size 8 (same size as this product) but the but newly ordered pair of size 8 was too tight hence returned. Received refund of returned pair. Hope supplies uniform dimension pairs as per size number of shoes so that dimensions don change for the same size. Good product at a good price. It is good enough for daily basis use. Only thing i felt the manufacturer could have done is providing a good metal eyelet for shoe lace. It would have lasted longer. Still a good product. otherwise no issue with the product. worth buying considering other features. These are basically made to increase your height upto 4 inch. I must say Raise your height and standard by owning this shoes. a must buy for everyone. Good Quality Comfortable For Use....For Run & Walk.Very good product and it's looking like a big brands shoes and this dirt cheap price.
. I have become fan of their shoe quality for the prices, they charged. Suitable for people of all age group. Strong and Durable.Truly Loved it... Highly recommended to the reader..
Cons: i find nothing that is worth sharing. Very Comfortable, Nice Shock absorbing Capacity, Happy with the Performance, Very good product it's looking like a big brands shoes. Nice product for this price. Satisfied and using it office casual and find my friends are envy of my choice. just one issue, it would have been better if there was some extra cushion at the heel side. Nevertheless HAPPY. it is raising your height without compromising on comfort level of a person. you gained height by using this shoes and people confused with weather its actual height or raised by wearing shoes. If the upper was a bit softer this would be at par in comfort with other well known brands. Been using it for almost 6 months now. Worth the price. Don't expect top brand quality for the price. Not suitable for long distance running but extremely decent for daily usage. 5. Looks cool and easy to wear. The shoe is good light weight and looks superb I am.happy to get it much less cost than branded ones I use for normal going out may not be suitable for daily walking but overall great in the budget I got for $135 I love this shoe and cost is too low for such a product I use to play for table tennis it simply great I used fir 1 year still it is in good condition. I would say it is a fantastic shoe and fits perfectly. I'm walking around 8 km every day using this shoe. Till date there is nothing to complain against. Great shoes at great price. Bought one before used it for around 2 years. Buying another hoping to use for another 2 years or so. Shoe is not so nice. But any how ok with price. It gives height advantage but i dont have any height issue, so the product doesnt suit me. If u r short, then it will look good on you. and If u want to expect a superior quality then spend more money n buy good branded rather then this. Nice Packing. On time Delivery. I ordered 9 size shoe but it seems little bit smaller than 9 size. Seller should take care of such things. I have contacted the company, They are ready to replace free of cost but still I have not got the product yet. Overall, good in looks. Good in this budget. Stunningly beautiful pair of shoes. Looks sturdy and durable. Underwent extensive research for perfect pair of shoes to play badminton outdoors with in budget. Whenever you wear it be ready to receive compliments. If you are in search of these attributes in your purchase, your search ends here and no doubt it is a blind buy without any regrets under reasonable price. This pair worth it's price.The only part of shoe which needs slight improvement is sole part which can be more sturdy and durable. I can use this shoes for walking, running, Treadmill and intense training purpose. am not sure as how long it may last, mostly from 6 months-1year if not used very rigorously. This is a Value for money buy at this price. seems to be good product at first sight. excited to see the performance on long run. he lace is of good material and holds the grip after tying one knot, not like other shoes which are heavy and laces comes off every 100mts while walking. The color combo is good and decent. But the finish is decent enough you can spot the threads popping out at the end of a stitch line finish which is ok.
Its a comfortable and Light weight shoes worth for the price being paid that is $130 , you can expect this shoes to give you benefit as that of those are branded ones and also comes with a bit hefty price and built for the purpose kind. this shoes will do the job for what specific task you wanna use it for like jogging, treadmill, even sports. *Come up with in the delivery time. 1.Size is perfectly fitted as orderd. 2.Light weight and good for running jogging & Walking and gym etc. The sole provides excellent amount of grip. They’re also made of good material, and even after 2 months of heavy usage, they haven’t faded or lost their grip. The length of shoe lace provided is sufficient. I have shoes, including premium shoes, which don’t have a proper length of lace and it’s very irritating. I’m happy that this has a proper length. The stitching used is excellent. They’re stitched in prime places where required. This has been one of the best “Low Priced High Quality” products I’ve purchased. 1. The styling is exceptional. It’s designed so aggressively, and the color combination is so appealing. 2. The materials used are EXTREMELY COMFORTABLE! I wear this primarily for casual walking/jogging, which is what it’s meant for. It has sufficient amount of padding to keep your feet comfortable even for long walks & casual runs. I absolutely love the design of the shoes, the packaging and it’s delivery. It’s probably the best under $ 130. Considering its price, there’s nothing better you can ask for. Very good quality at this price. Infact I am amazed to get the product at this price, really very good quality, durability, fitting very good. Good pair of height increasing shoes at this price point. It has increased my height to 3 inches from my original height. Feel more confident.After using for 6 months, Even now the bottom sole is good. Over all, I am satisfied with this purchase and recommend the same. Nice fresh look, great bargain, good soles, neatly packed. Got at very good price.I bought it for my Dad. He walks a lot. He really loved the shoes as it its fitting perfectly. Looks descent. Easy to clean. Good Grip. No stinking socks. No bent ankle. Go for it. not as expected. Need to improve on quality and accordingly may be priced. Can buy this shoes as just ok, if u have better option can try other product of same brand. Shoes are so soft and light weight for my feet with amazing color combination. I feel fly while I walk.I liked very much. its comfortable.. though love the color..
looks really nice..gives a cool look, love its high raising from heel. looking for the other variants too.. wanna try for sure. At this price point I would say this shoes is worth every penny. I don't see any point paying $500 for a very basic shoes from other brands. Go for it and you would be happy.Superb quality, gifted to hubby.. he is happy wearing it, very much comfortable and colour design is same as shown in the picture with anti slip soul. I travel to office by train and then metro and back daily. Its a very hectic job to keep running from one stn to other and my legs used to hurt with heals or wedges. I was guided to wear a pair of good sports shoes and so i ordered this shoes which was on budget. This shoes have a good gripping sole which makes me run comfortably without feeling slippery. Also its comfortable soft insole keeps the ankle protected from pain. Beat shoes at a good price. I just loved them. Great quality shoes at this price (I bought it for $130) and will easily last for 6-8 for a moderate to active person. Soft sole but not way too soft that you feel the ground which is good thing. Colour is good and matches what is shown in the pictures. In simple words, its just awesome. For the price, it's so durable and nice to wear everyday. It's been year and I almost use it everyday for the gym as well as daily use mostly. No wear and tear so far. Everything worked perfectly.....It's really worth to buy. I am checking to buy one more similar shoes since I already used .. But good for daily rough use. Overall Very good investment for daily rough use. I will straight away get into my review. 1) Design looks good and eye catchy. 2) Colour is brighter and dark. 3) Sole is bit harder but inner cushion is very nice and gives me good comfort. 5) Lace quality is also nice. After using it for a day, I found that the left sole isn’t properly supported, the shoe inner padding is tilted o one side resulting in leg pain. On the other hand if you want to wear it to the mall or just outside, go for it - it’s cheap and looks ok.
Good for running as it is light in weight ..fits perfectly ..nice colour and design. however the size is little issue with me so i order a replacement. The company is agree to replace free of cost. Thank you for the great service. One star less for the same issue. i write this behalf of my brother. This shoes are very stylish and light weight. For running purpose this shoes are very good and for any other purpose like function. college and for sports its is very helpful. The size is good and my brother like the most is colour. Fitting was awesome ,i guess it made for me only,,, stylish look and have classy style.under this range it meets up with my expectations. The shoe padding is great, which is really astonishing in this price bracket. It's perfect for daily use, and it's really reasonable. Highly recommended for people of all age. I got the order on time. Good quality of shoes and size is also perfect. Shoe's color is red which is good I love the color. Shoes are comfortable, Stylish & Trendy. Packaging is also good. Overall nice product to purchase and service provided is excellent. And all the details about the product as mentioned by the seller is true. 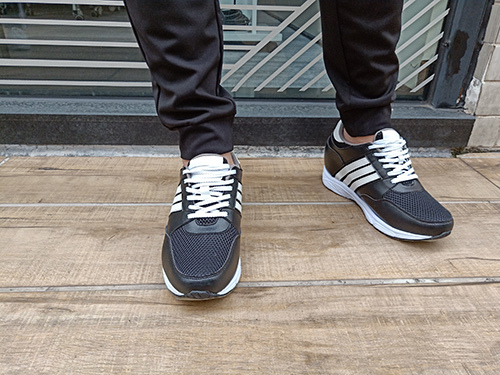 This shoes are comfortable,soft,light weight and also fancy.Best suited for walking & running.these are good quality & size is perfect.After wearing i feel so comfortable. I have ordered from this brand before also and the product of this brand are really good at cheap prices with great color. Fits well and long lasting. 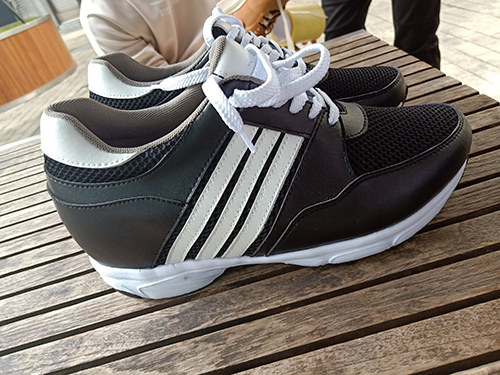 gifted these shoes to my father and he got so happy, the shoes are light and best suited for walking and running. They are very comfortable as he said and he wore them everyday for his walk. He really liked them. Recommended for people for old age too because of fitting and comfort. It looks like a premium one as the quality denotes the premiumness. Really loved the product. Bought this one for my cousin. Fits really well. He loved it too. Exactly like the picture. Comfortable, soft and light weighted. The color is also matching. Sole seems quite hard and flexible too. Made up of quality material. looks very sturdy. It totally worth it's price. These shoes are so comfortable and they look great they fit well and I received them quickly. Thank so much and I will be purchasing another pair soon! Next time you're here, you should try the brand new men boots! We hope to see you again soon, and bring a friend! My size is 10, so I ordered in size 9 and fits ok.
Great fit and exactly what I wanted so many colors to choose from. 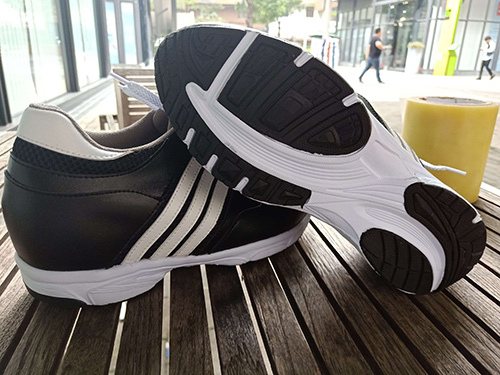 I need pair of sport shoes that comfortable and soft, these shoes not only add height, also comfortable just what I asked for. Like it. They are great! I do feel taller I will buy some more later for sure! I give it a 5 star because I don't find anything wrong with the shoes, they look as normal as a regular shoe and they fit just perfectly. Amazing shoes... best shoes ever, fits perfect... goodbye Nike... nothing better than this elevator sneaker. Color scheme was not what I was expecting. Reasonably comfortable to wear. So far I am loving these shoes. They are very light and comfortable. I use them daily, wearing these height increasing shoes feel comfortable as usual shoes. Great shoes. Great fit. Classic style. Can't go wrong. Look really good with jeans. as title states, looks great, fits great, love it! Thanks for your feedback, enjoy your nice shoes! These shoes are so cool looking. I love wearing them. They are comfortable and enjoyable to wear. Love CHAMARIPA shoes. Thanks for the awesome review, Martin! We work hard to meet expectations like yours, and we're happy to hear we hit the mark for you. We look forward to serving you again. This is not my first pair of classic Chamaripa Black Sneakers, you can wear them in a casual or formal engagement.